Knowing how to give a chinchilla the proper care is very important before deciding to get chinchillas as pets. A baby chinchilla living in captivity can live as long as 25 years if kept healthy, but the average lifespan being about 15 years. A chinchilla baby living to adulthood in captivity will live much longer than one in the wild. So, you have to be prepared for owning your pet for a long time to come. Chinchillas are also very active with loads of energy. They'll need to have a nice spacious place to live with an exercise area. They need to be let out of their cages occasionally to play around as well. You should give them attention and try to play with them daily. You do this to make sure they are getting daily exercise. Most chinchillas don’t like being held or pet. 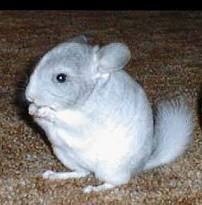 If you are looking for a pet to hold and cuddle with then chinchillas are most likely not the pet you’re looking for. They can be very messy too. So, cleaning around their cages is something you may be doing often. Temperatures have to be at 55-75 degrees Fahrenheit. If it gets to 80 degrees or higher they can suffer from heat stroke. If you live in an area that gets hot you’re going to need a way to keep temperatures low. Otherwise I wouldn't be getting one. You shouldn’t put their cages next to windows or doors where temperatures could go up and down frequently. Chinchillas cost much more to keep than a hamster or rat. You can't just go out and buy a $40 cage and think that's enough. Cages should be big and this can get expensive. Also, you need to buy wood chips, chew toys, food and accessories for their cages. 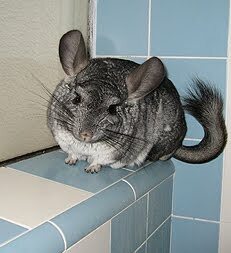 So now that you have an idea of what’s involved you can see there are more responsibilities in owning a chinchilla than you would think. They aren’t hard to take care of, but if you think any of the things above would be difficult for you, it’s probably best to consider another pet. You should also ask your local pet store if they are even allowed in your area. I do know that Australia does not allow chinchillas. wished all our clients knew to prepare for heat stress season. So - here are my TOP TEN list of things to do. The list is not all inclusive, but these are some of the most important things we need to do to protect the llamas and alpacas from heat stress before it happens to you ! 7. MONITORING - Observation is the key to life. Watch your animals. If they spend a lot of time eating, standing, walking around and being active then they are probably happy and healthy. If they lay around most of the day and are not active, then they may have sub clinical heat stress (early stage) and intervention may be warranted. Watch your breeding males very closely. If you see the scrotum getting pendulous, "baggy", or increasing in size, do something immediately or you may loose fertility! 10. 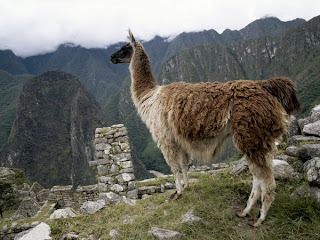 PREGNANCY - I prefer to see females in this area of the country having crias in the spring. This optimizes easy re-breeding of females; allows optimal lactation because of the nutrition of fresh grass; optimizes cria health because of sunlight, clean pastures, and good nutrition; and prevents females from having to suffer late gestation in the hot summer months. Successful treatment of heat stress depends upon early recognition (increased respiration, lethargy, increased recumbency, decreased appetite, decreased cooperation with or participation in activity, flared nostrils). Most of the above mentioned prevention strategies can be applied as treatment. Consult a veterinarian at the earliest time for animals showing abnormalities of behavior during summer months.